Cat Activity tree provides many fun places to duck, hide, and play, providing hours of fun! Not only is the activity tree fun for your cat, it is good for them too. Scratch rope enables young kittens to work on their climbing skills, priming their tiny muscles for adulthood activities to come. Ladder improves coordination and provides young kittens access to the second tier. China Jiaxing Pet Supplies company provides your cat with a perfect place to sit and observe their surroundings. 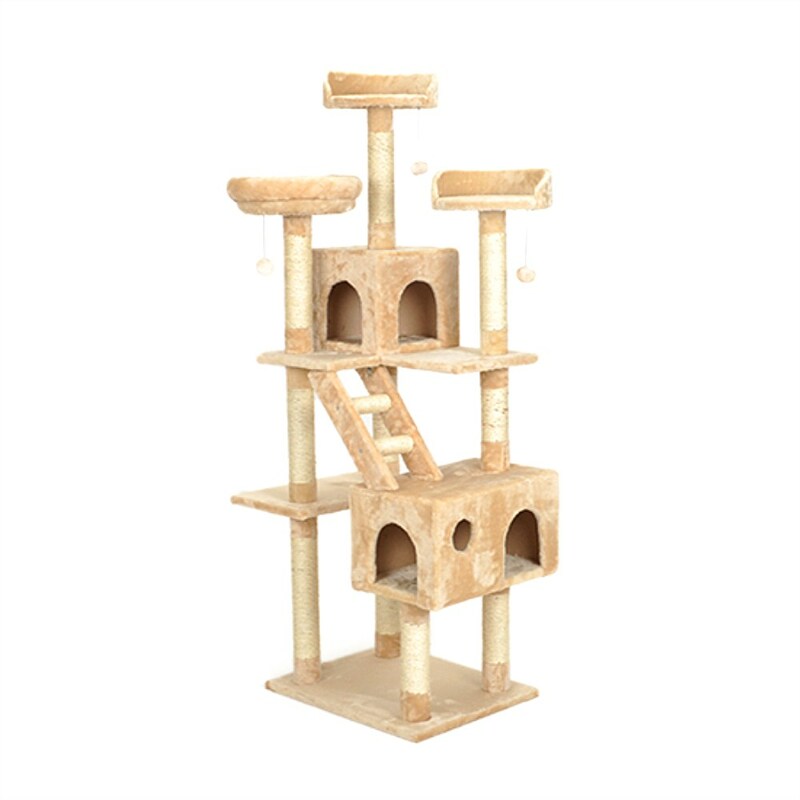 Your cat will love the Double Decker Playground Cat Tree ! It features two separate enclosed cat condos, a Cat-IQ busy box, sisal scratching posts, a dangling ball and springy-wand ball Cat Toys .the Cat Condo on the second level has a cat ladder that reaches up to the second Cat House, and your kitty will want to climb to the upper levels and play with the Cat-IQ busy box, the dangling Cat Toy , and the spring-y ball toy. 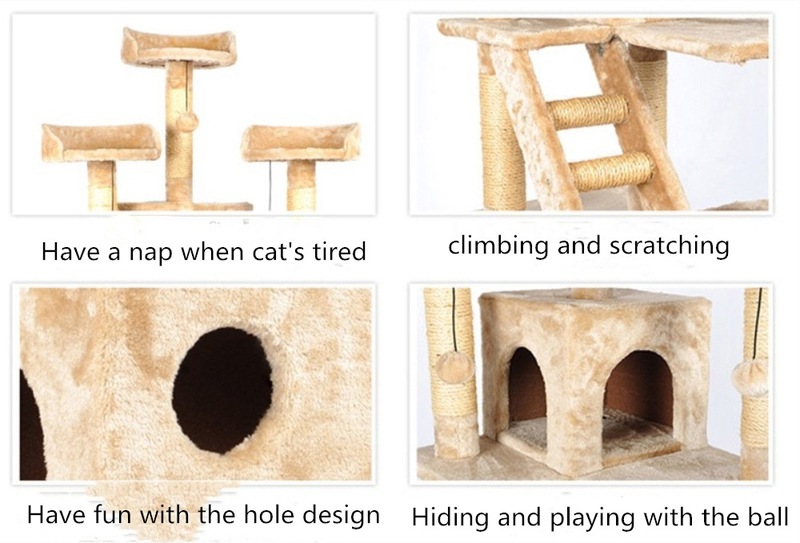 Your kitty will get plenty exercise jumping, stretching, and playing on this amazing piece of Cat Furniture. Inviting condo features a sizeable opening for easy entry, but that still allows adequate privacy. The soft faux fur lining keeps your cat warm and is the most cozy place on the activity tree for your cat to rest and relax after hours of play. Features three levels, each with a comfortable place for your cat to rest and relax. Unique activities bring out your cat`s playful nature. China Jining Jiaxing Packaging Co. Ltd. welcome your inquiry and visit! 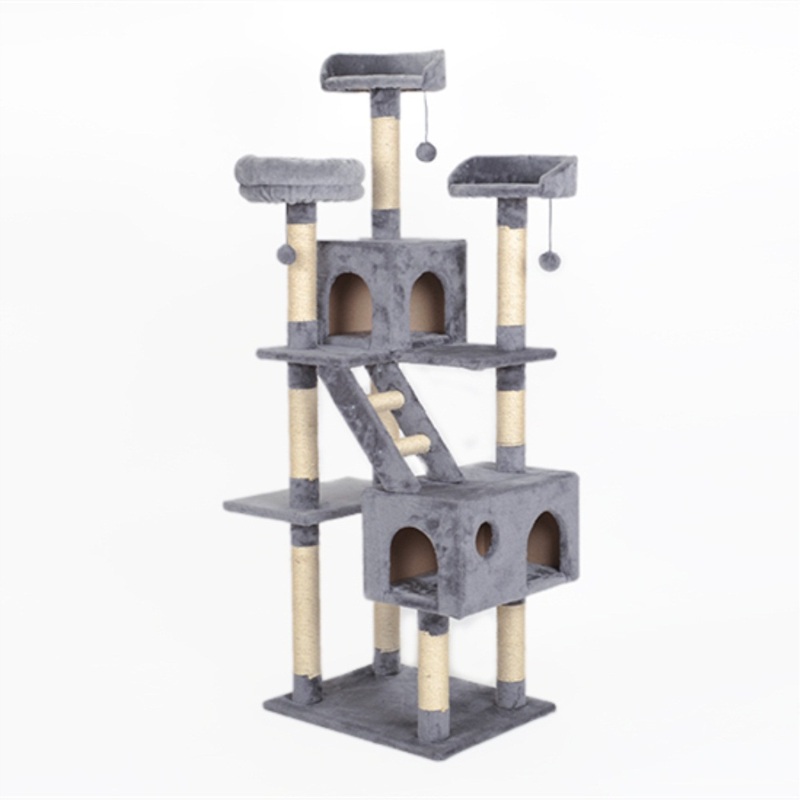 We're a manufacturer of cat trees, also known as cat furniture,cardboard cat play houses, cat condos and Cat Scratching Posts with long-history factory located in Jining,China. we supply pet accessories for many years,and exported to world wide. If you're local we encourage you to come in and see our High Quality Cat Furniture before purchasing. By buying directly from the manufacturer you'll be saving a lot by cutting out middle men! Come in and purchase cat trees at wholesale prices! You won't find a better deal on high quality cat trees or cat furniture anywhere else! Looking for ideal Kitten Activity Tower Manufacturer & supplier ? We have a wide selection at great prices to help you get creative. 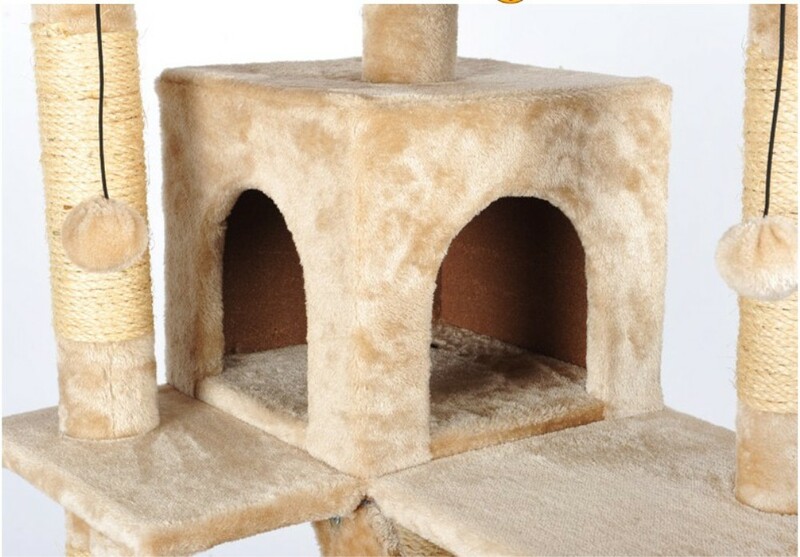 All the Cat Climbing Tree with Scratcher Post are quality guaranteed. 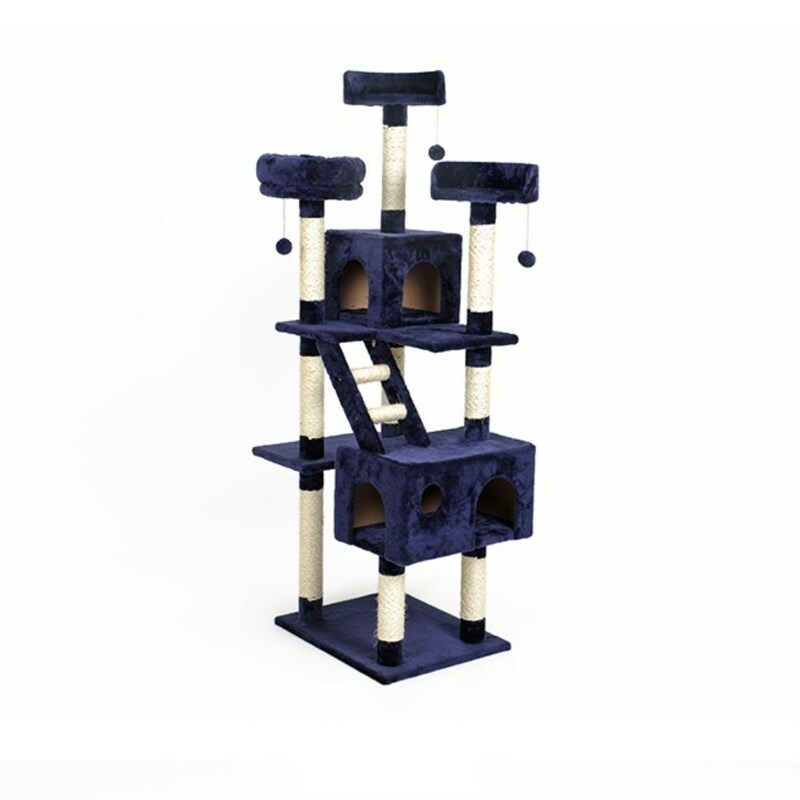 We are China Origin Factory of Multi-level Cat Tree Playhouse. If you have any question, please feel free to contact us.